This petition has been created by Cengiz A. and may not represent the views of the Avaaz community. 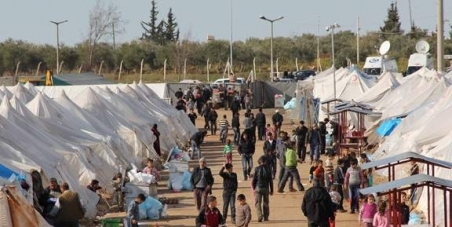 80,000 Syrian people have taken refugee in Turkey. They had to escape from civil war in order to save their lives. There are many among them who are injured by weapons and bombs. They try to live in tents. Some children are employing as cheap labor. This situation causes to hinder their education. Their problems will increase because of coming winter. Some media organs conduct campaigns against them (because the reason is that there are people among refugees who fight against the regime in Syria). The refugees were declared as "bearded terrorists". According to media, refugees create troubles, molest children and women and they do not pay money to the craft. Asylum has been accepted as one of the basic human rights. These relentless campaigns are unlawful. We call the public opinion to offer a hand of friendship and participants should desist from campaigns which indicate refugees as target. Detailed text: http://www.durde.org/2012/09/syrian-refugees-are-our-sisters-and-brothers.